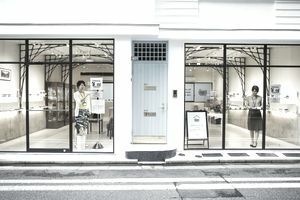 While Japan's retail economy seemed to sidestep the effects of the global recession better than most other countries, the 2011 Earthquake and Tsunami disaster will undoubtedly prove to have an equally devastating effect on Japan's retail industry. But looking at the 2011 World's Largest Retailers list, compiled by Deloitte Touche Tohmatsu and STORES Magazine, the Japanese retail industry moved into new prominence and greater dominance on the global retailing stage while retailers in other countries were scrambling to survive. The 2011 Global Powers of Retailing rankings are based on FY 2009 revenues, and the upward ranking shifts of Japan's largest retail chains says a lot about Japanese consumer behaviors. While American consumers were migrating to dollar and discount stores, Japanese consumers were buying electronics. Fast Retailing, K's Holdings, and Kojima all had double-digit global retail ranking improvements selling merchandise to gadget-hungry Japanese consumers. Joshin Denski experienced the most meteoric rise, gaining 30 spots on the 2011 Largest Retailers list. Consumer electronics chains weren't the only Japanese retail industry winners in the global retail recession. Supermarket chains Life Corp., Valor, and Maruetsu had double-digit rank improvements. Double-digit ranking rises were seen by home improvement retailers Beisia and DCM Japan Holdings as well. What follows is a complete list of the Japanese retail companies on the 2011 World's Largest Retailers list. The number in the left column is the global ranking number assigned to the company, based on its revenue figures, compared to the 250 largest retail companies worldwide. 16 Seven & I Holdings Company, Ltd.
37 Yamada Denki Company, Ltd.
62 Isetan Mitsukoshi Holdings Ltd.
89 J. Front Retailing Company, Ltd.
120 Yodobashi Camera Company Ltd.
124 Fast Retailing Company Ltd.
156 Don Quijote Company Ltd.
176 DCM Japan Holdings Company, Ltd.
192 Joshin Denki Company, Ltd.
195 MatsumotoKiyoshi Holdings Company, Ltd.
209 Marui Group Company Ltd.
235 Kinetsu Department Store Co., Ltd.
242 Sugi Holdings Co, Ltd.